The AFCAT 2019 is schedule to be held in online mode on February 16 and 17, 2019. Indian Air Force conducts AFCAT for recruitment of Commissioned Officers in flying and ground duty (Technical and Non-Technical) branches. Visit Indian Air Force career website which is www.careerairforce.nic.in and click on candidates’ login button on the right hand side bottom of your screen. Enter your login details which you have in your email. Once you login successfully, click on generate admit card link on the left hand side. 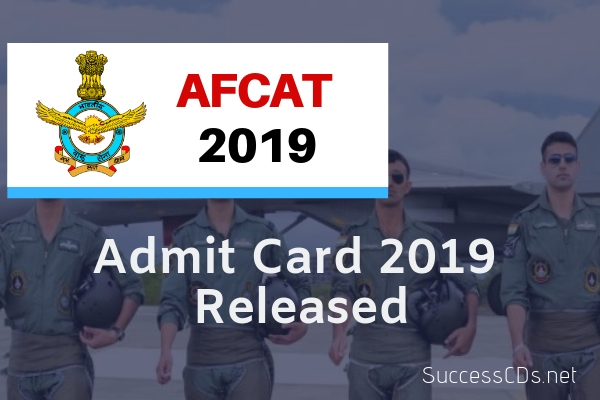 Candidates are required to carry a valid photo ID proof like Aadhar card, pan card, driving license, voter card etc and two passport size photograph along with the admit card to the exam hall on the day of AFCAT exam.